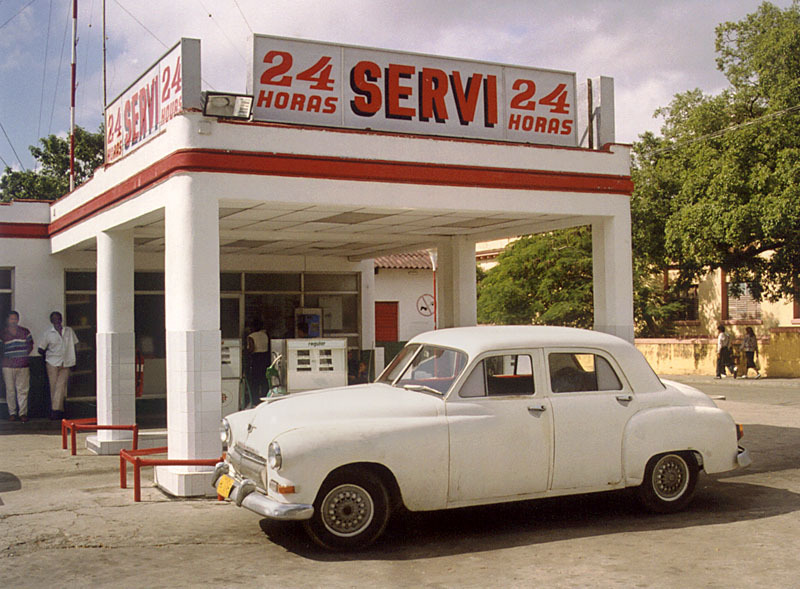 In the town of Nueva Gerona on Isla de la Juventud, this is the only gas station, though it is open 24 hours. There have been times in my travels within Cuba where there is this overwhelming sense of deja vu when a scene presents itself that could easily have been 50 years ago in time. It is one of the never ending dichotomies of Cuba due in part to the combination of the socialist system and the 45-year-old embargo. The combined effect has made time seem to stop in many instances. Truly a photographers dream.